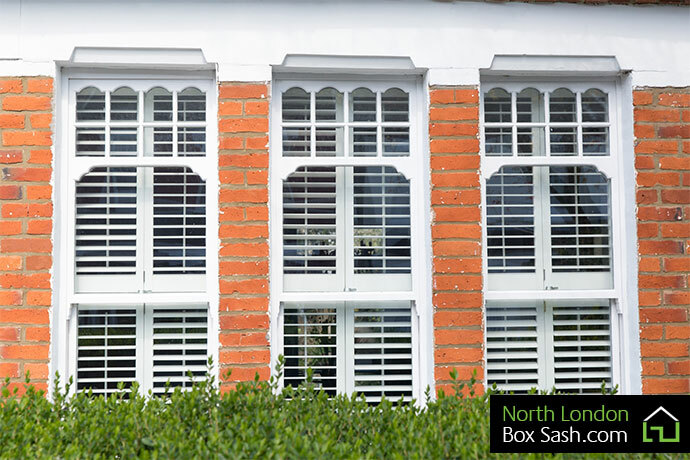 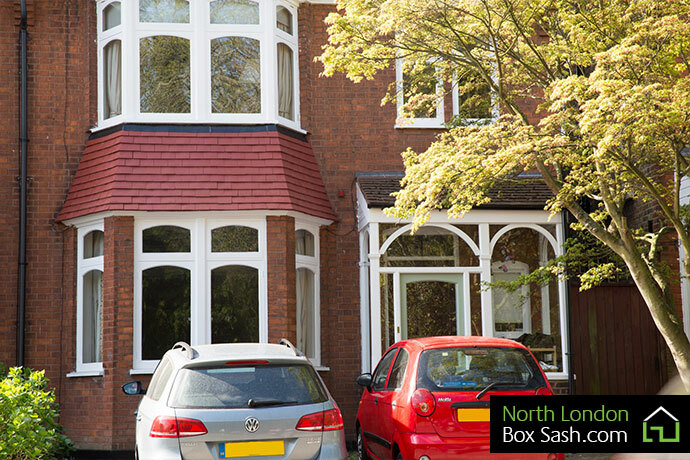 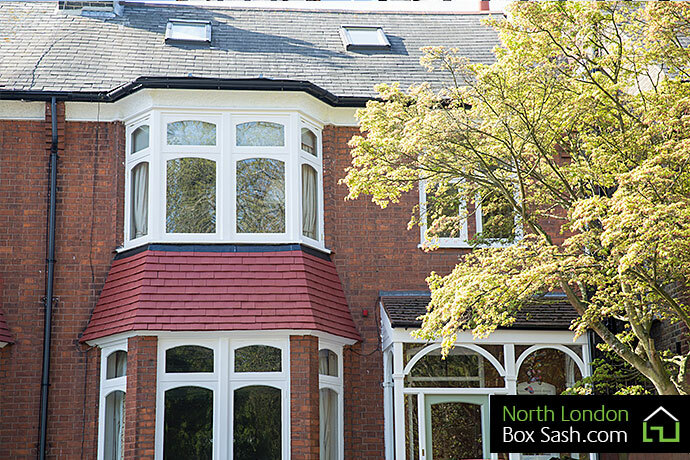 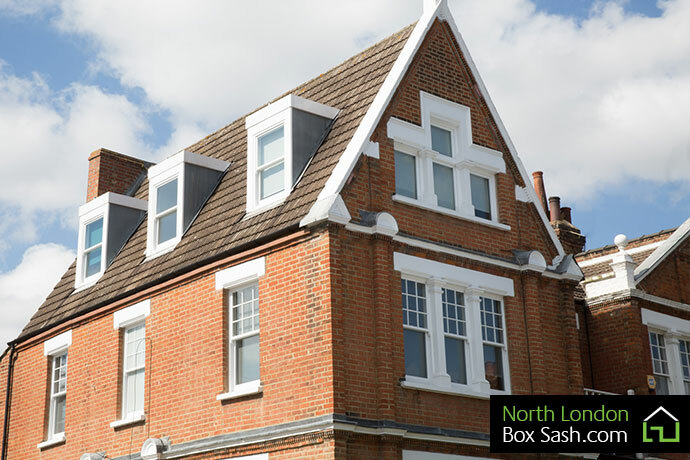 We recently completed the installation of replacement windows at a character property in Winchmore Hill, North London. 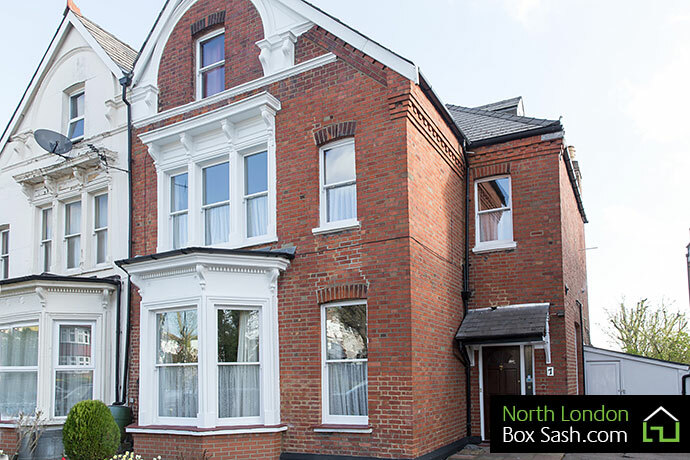 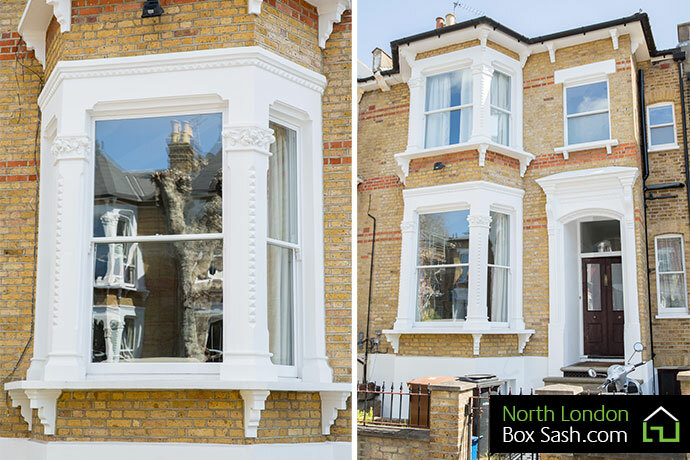 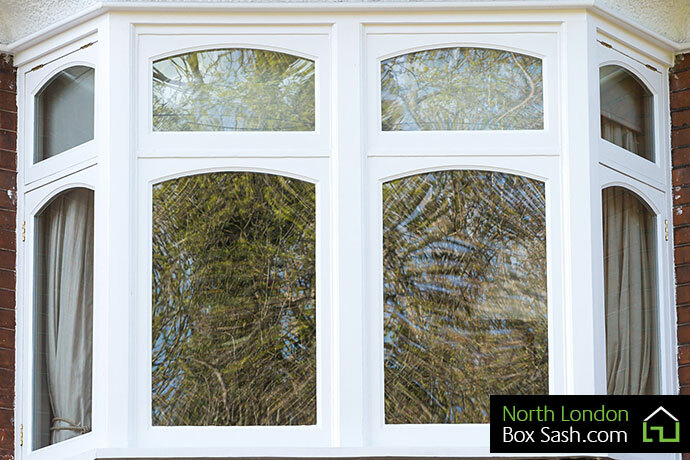 The bay window to this Edwardian property was suffering from condensation resting on the inside single glazed glass, North London Box Sash recommended the solution of adding double glazing to the existing frame and fully draught proofing the openers. 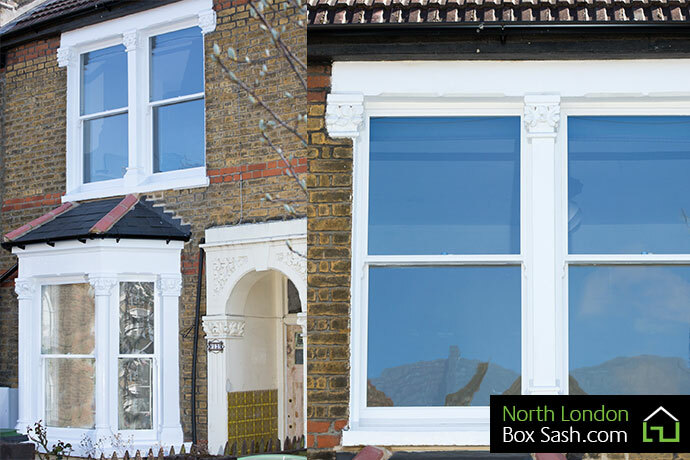 New double glazed casement windows were installed and repairs carried out to the existing Edwardian oak window sill. 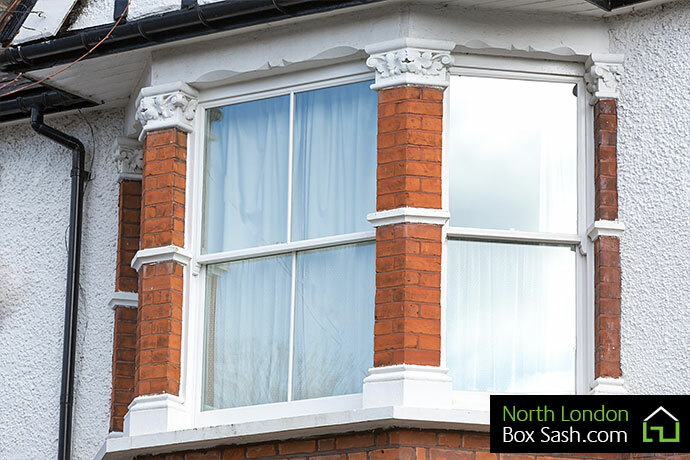 As you can see, we were able to retain all the Edwardian style of the window so as to ensure all of the character features of the property remain intact. 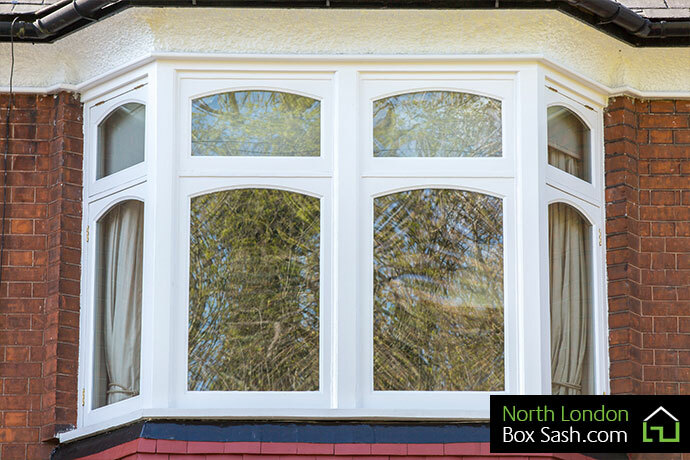 The customer was extremely happy with the replacement window installations we carried out and has also commented about the beneficial acoustic values too.